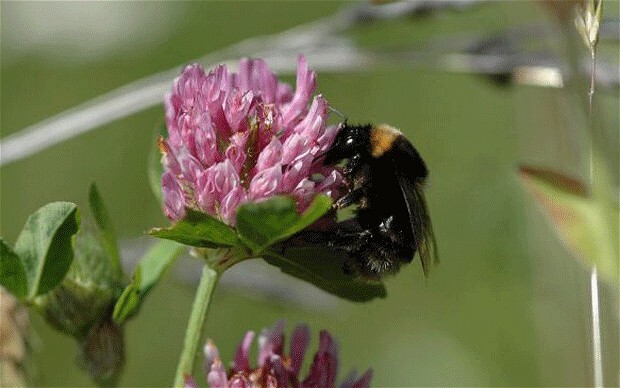 Societal regulations have not stopped habitats from being poisoned, said the analysis, despite neurotoxic pesticides already being held responsible for the global collapse in the bee population. “Undertaking a full analysis of all the available literature (800 peer reviewed reports) the Task Force on Systemic Pesticides – a group of global, independent scientists has found that there is “clear evidence of harm sufficient to trigger regulatory action,” a press release accompanying the report noted. Twenty-nine scientists from four different continents conducted the study, which found the unmistakable evidence of the link. The pesticides referred to in the report are neonicotinoids (neonics) and fipronil. Farmers spend some US$2.6 billion on neonicotinoids worldwide every year. They are used as a general practice rather than a response to a pest problem. “If all our soils are toxic, that should really worry us, as soil is crucial to food production,” he added. Butterflies, bees, birds suffering…humans next? In Marinduque, a province of the Philippines, the rural population practices butterfly farming to encourage the sustained pollination growth of local vegetation. “All the people here in the rural areas depend on the butterflies, and continued use of pesticides could destroy their livelihood,” said Elizabeth Lumawig-Heitzmann, director of Romeo Lumawig Memorial Museum. In addition to butterflies, maintaining bee and insect populations are necessary for the pollination of crops. “These days many people are completely detached from nature – they buy their food in a supermarket, they live in a city…biodiversity is vitally important for us,” said Bonmatin. Bees are affected because chemicals hurt their ability to both navigate and learn. Neonics can be 5,000 to 10,000 times more toxic to bees than DDT – which itself has been banned in agriculture. “The classic measurements used to assess the toxicity of a pesticide (short‐term lab toxicity results) are not effective for systemic pesticides and conceal their true impact. They typically only measure direct acute effects rather than chronic effects via multiple routes of exposure,” the report found. However, bees are not the only ones affected by the pesticides; birds and mammals which feed on the insects, as well as worms, are also harmed. Worms aerate soil, and chemicals can disrupt their ability to tunnel properly. Because birds eat insects and worms, declines in their populations can also lead to a loss in the birds feeding on them. The report also postulates that even eating only a few contaminated seeds may kill birds directly. Insecticides and pesticides seep into rivers and streams from the fields they are used on. “Microbes, fish and amphibians were found to be affected after high levels of or prolonged exposure,” the report said. “Overall, a compelling body of evidence has accumulated that clearly demonstrates that the wide-scale use of these persistent, water-soluble chemicals is having widespread, chronic impacts upon global biodiversity and is likely to be having major negative effects on ecosystem services such as pollination that are vital to food security,” the study concluded. The EU has already placed a three-year ban on using three neonicotinoids (clothianidin, imidacloprid, and thiametoxam) on flowering crops which bees feed on. However, they can still be used on winter crops.